If you’re planning a trip for spring break, your summer vacation, or have a business trip in the offing, you may be interested in a new report that ranks the in-flight Wi-Fi offered (or not offered) by U.S. airlines. 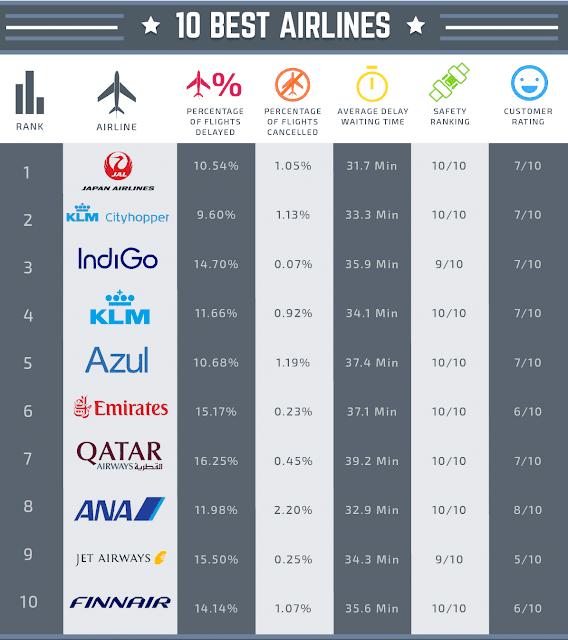 The report, published by HighSpeedInternet.com, ranks the seven airlines that offer in-flight Wi-Fi, whether free or for a fee, based on the availability, price and connection speed. You can read the full report here. Southwest Airlines (NYSE:LUV) is second, with Wi-Fi offered on 90 percent of its plane, but at a slightly slower speed than jetBlue at 10 Mbps and at a cost of $8 per flight. Atlanta-headquartered Delta Air Lines (NYSE:DAL) is third, but first among the Big Three legacy carriers. Wi-Fi is available on 98 percent of its plans at 15 Mbps, though at a cost of $16 per flight. Virgin America (NYSE:ALK) is No. 4 followed by sister carrier Alaska Airlines, with American Airlines (NASDAQ:AAL) and United Airlines (NYSE:UAL) rounding out the seven carriers that offer the service. Three other U.S. carriers don’t even offer the option. They are budget carriers Spirit (NASDAQ:SAVE) and Frontier (NASDAQ:FRNT), and Hawaiian Airlines (NYSE:HA). 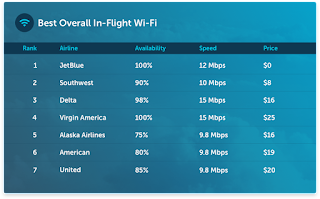 Four of the seven airlines that offer in-flight Wi-Fi get their service from Gogo; accordingly, frequent travelers may get their best deal by subscribing directly to Gogo, which can then be used on Alaska, Delta, United, Virgin America and Air Canada. 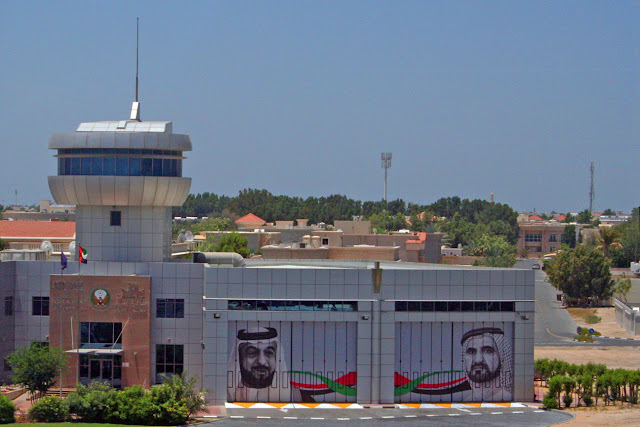 Gogo offers an array of in-flight internet service plans that vary in duration, coverage area, and the number of devices travelers plan to connect. Accordingly, Gogo plans could save some money over purchasing in-flight Wi-Fi service from the airlines themselves, the report noted. 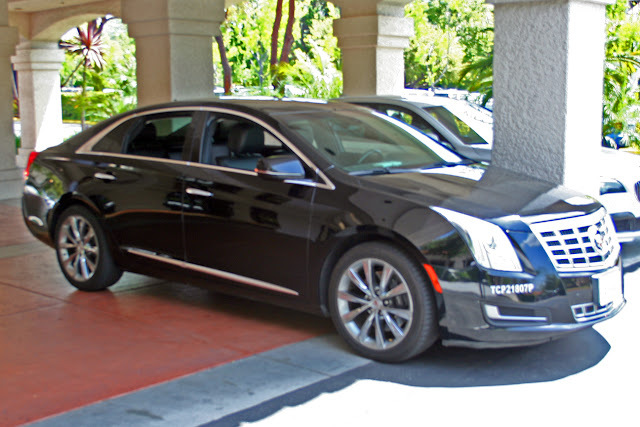 For business travelers, the survey ranks the service a bit differently because cost may be less a concern than for leisure travelers. For business travelers, Virgin America ranks No. 1 because of its faster connection speed, while jetBlue is No. 2 and Delta No. 3, again because of its 15 Mbps speed. 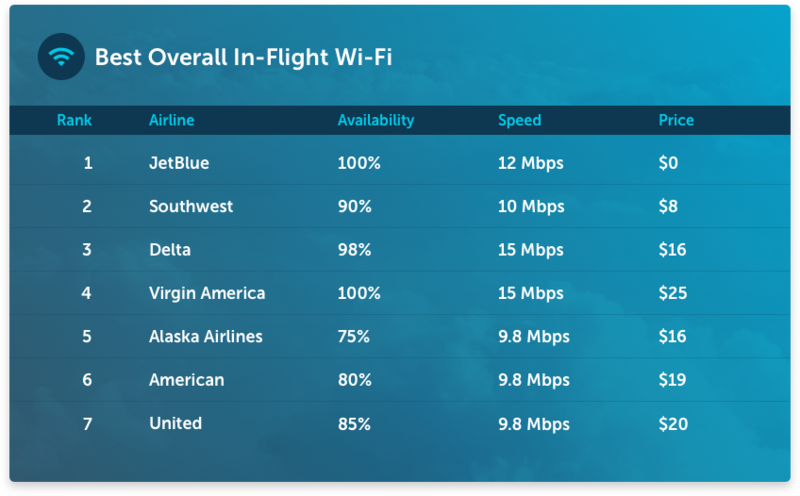 While Southwest, United, American and Alaska all have speeds of very nearly 10 Mbps, the service is available on a smaller slice of their fleets – from 90 percent of Southwest planes to just 75 percent of Alaska aircraft – bringing the rated values down a bit. Survey authors used the availability statistics published in routehappy.com’s 2017 Wi-Fi Report and then tracked down the Wi-Fi speeds and prices offered by each airline, which turned out to be more difficult than it sounds. “Some airlines don’t publish their in-flight Wi-Fi information,” the authors noted, adding that they spent days contacting various departments at some of these airlines, hounding them via email, phone, and social media. Airlines could do also do a far better job when it comes to the transparency of their ticket pricing practices, but that’s a topic for another day. SPEED: In my experience, the speeds reflected in this report do not translate to the speed each individual traveler will experience from his or her seat. While the aircraft may be connecting at 10-15 Mbps, remember there's only one pipe between the plane and the ground, and that's shared by all the people using Wi-Fi at any given time. That will affect each individual user's experience. AVAILABILITY: In-flight Wi-Fi is great as far as it goes – but it doesn’t go very far offshore, which is likely why Hawaiian Airlines doesn’t bother to offer it. On several recent flights from the U.S. mainland to the U.S. Virgin Islands, including several on jetBlue, Wi-Fi was unavailable for a significant portion of the flight. Not the fault of the carrier; it’s just that the equipment has a limited range and often relies exclusively on land-based facilities. While many service providers are transitioning to a hybrid of land and satellite-based transmission facilities, the reality is Wi-Fi offshore is still the exception rather than the rule. Bear that in mind when your flights will take you over water and plan your purchasing – and use of -- in-flight Wi-Fi accordingly.